The interest rates of variable and adjustable rate loans change over time. Shopping for the best mortgage loan is a lot more difficult than shopping for groceries, but if you understand some of the phrases and terms used, it will be easier to make a decision. Lenders charge interest on the loans they fund. Each month a portion of your payment goes toward the principal balance and a portion goes towards the interest. There are a few interest types available to borrowers, including fixed, adjustable and variable. Variable rates operate on the premise that the interest rate will fluctuate over time with the market, but the monthly payment amount will always remain constant. When interest rates are lower, more of the payment will go towards the principal balance. Likewise, when rates are higher, more of the payment is devoted to the interest. For example, as rates change one month 80 percent of your payment goes towards the balance, and the next month only 77 percent goes towards the balance. Variable rate mortgages are more common outside the United States. However, student loans often carry variable rates. 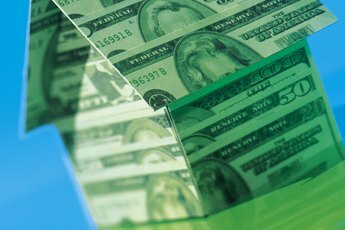 Adjustable rate loans, commonly called ARMs, are very similar to variable rate loans. The important difference between them is that with an ARM, as the interest fees change so does the monthly repayment amount. The lender will provide you with a schedule of when the interest rates will change over time. Determining how much they will change depends on the market indexes, plus the margin charged by the lender. Their margin is generally disclosed at the time the mortgage is originated, but the market indexes change over time. These mortgages are structured in a way that the rate and payments are fixed for a set period of time in the beginning, and then they will change on an annual basis. Often, the rate charged during the fixed period is lower than average. The rates can be fixed for a variety of lengths, such as one, three, five, seven or 10 years. The loan is referred to as a 5/1 ARM if it's fixed for five years, for example, a 3/1 ARM if it's only locked for three years. Commonly, ARMs have a repayment term of 30 years. 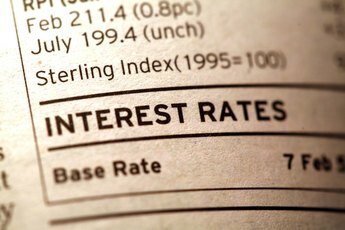 The lower interest rates charged during the fixed period might be appealing, but remember that they will most likely increase. If you intend on being in a better financial situation a few years down the road this might not be a big deal. 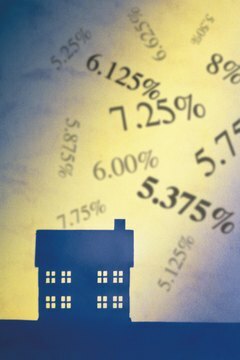 If you are concerned with how much the payments will fluctuate, lenders offer some piece of mind by setting rate caps. Rate caps limit the amount that the interest can increase within a year, or also over the life of the entire loan. Another type of rate cap limits the amount of the monthly payment. These caps should be explained when the mortgage is originated so you can prepare for the future properly. What Is the Difference Between an Option ARM & a Conventional ARM? 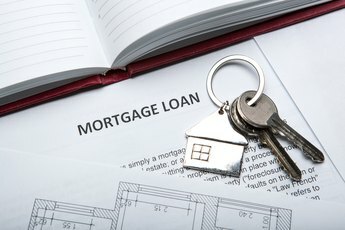 What Is a 5/25 Mortgage? What Is the Average Home Mortgage Interest? What Are Mortgage Loan Interest Rates Based Upon?